The newly revised Cold Steel Recon 1 tactical folder now boasts US made Carpenter CTS XHP alloy blade steel with a DLC coat. 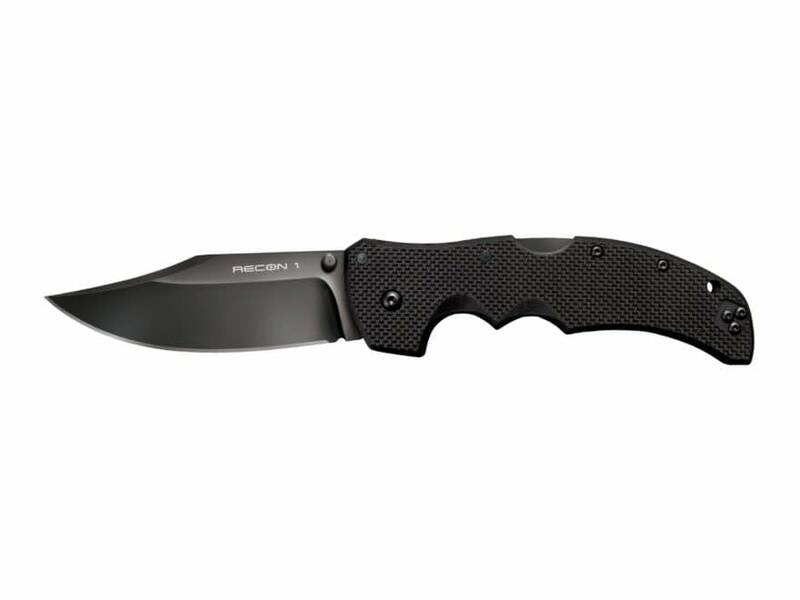 This tactical folder boasts a 4″ clip point blade is thin and razor sharp, making it especially popular with Military, LE and Fire and Rescue crews. The knife uses the world-renowned Tri-Ad lock to make it even better. Whatever your mission is, the Cold Steel Recon 1 is there for you. Includes free laser engraving! Forward your email receipt to helpdesk@sonorandefense.com with whatever text or logo you would like on the blade!